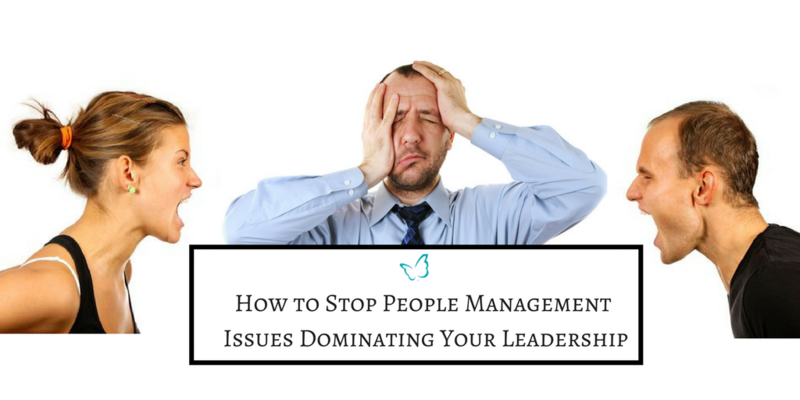 As a school leader have you ever wondered why people management issues tend to dominate most of your time? My reflection on this is quite simply that we humans are complex and the older we get, the harder it seems for us to truly grow up and behave as adults! Children are far easier to understand and deal with, even the most challenging are honest; whether through their behaviour, or otherwise, they tend to let us know how they are truly feeling. That’s when you come to the realisation, that, if you understood a little bit more about yourself and the dynamics of human behaviour, you’d have a far greater chance of being able to achieve better outcomes for yourself and those that you lead and manage. In devising TA, Berne identified three ‘ego states’. 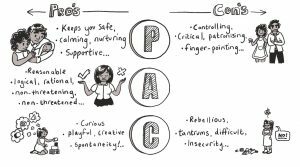 Parent, Adult and Child, all apart from the Adult ego states have their pros and cons re diagram below. These ego sates dictate the way that we think, feel and behave when we communicate with others. Most of the time, the ego sates that we adopt when we are working with others are subconscious. The theory is dependent upon our own personal histories: we can each have a unique life scrip that influences the degree to which we adopt these different ego states. As a result, communication has the potential to become clouded if the people communicating with one another are unaware of them. Each person is responding to a subconscious emotional trigger that emanates from the child or parent ego sate; sustained communication in either mode is not healthy for the individual or the relationship. As a school leader, you have a responsibility for bring out the best in yourself and others, therefore consciousness is essential. Greater awareness and self-control will increase your ability to always respond from the Adult ego sate. Where you are able to remain objective in your interactions with others, there are no emotional hotspots or triggers to cloud communications. Everything is seen and heard as it is. Step 2: Reflect on the feelings that they induce in you, when you are in communication with them and write them down. Step 4: Create as clear an image as possible for yourself, of what it would feel and look like for you to respond from the adult ego when dealing with challenging members of staff. Write down what you would say. Think about your tone of voice, your posture, the setting etc. Step 5: Make a commitment to yourself to consciously respond from this position the next time you are in conversation with key challenging individuals. It won’t be easy the first time around. But practice makes perfect. And overtime, you will find that you are more confident and better equipped for dealing with challenges when they arise, and as a result, less and less of your time will be dominated by people management issues and you will have more time to focus on the things that matter most. If you want to develop your skills to help you facilitate better teamwork, minimise team conflict and get the best out of your staff, then you might be interested in our latest offering to support School Leaders fulfil their vision, our 4 Day Coaching Programme to Maximise Staff Performance. The Programme aims to provide senior school leaders with the knowledge, skills and confidence to apply a range of coaching skills that can help improve the performance of those they lead and manage.